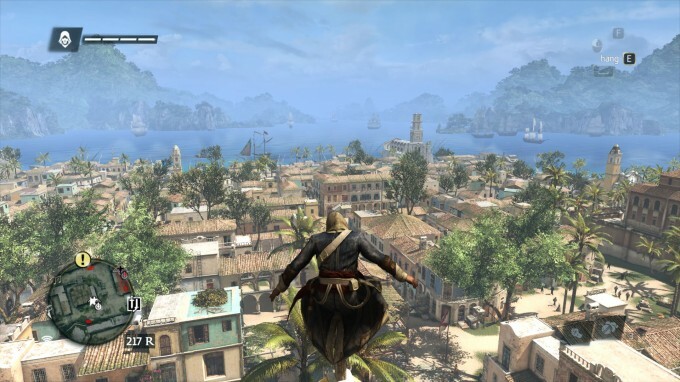 As soon as I’m able, I’ll be overhauling our test suite to include fresher games, and Black Flag is a good example of why. Unfortunately, this game would still be suitable had Ubisoft not implemented an asinine frame-limiter. But I digress. The takeaway with this title is that the GTX 950 can handle a game that still looks really good even today at 1080p at very high detail levels. 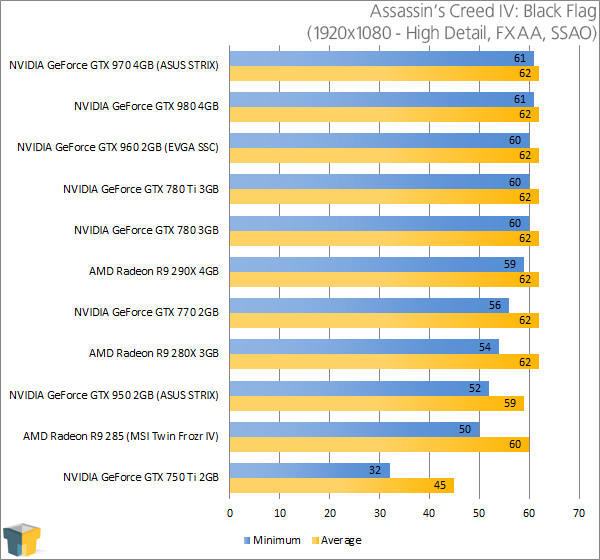 60 FPS is ideal, but the GTX 950 is no slouch for not dipping below 52 FPS on the low-end. 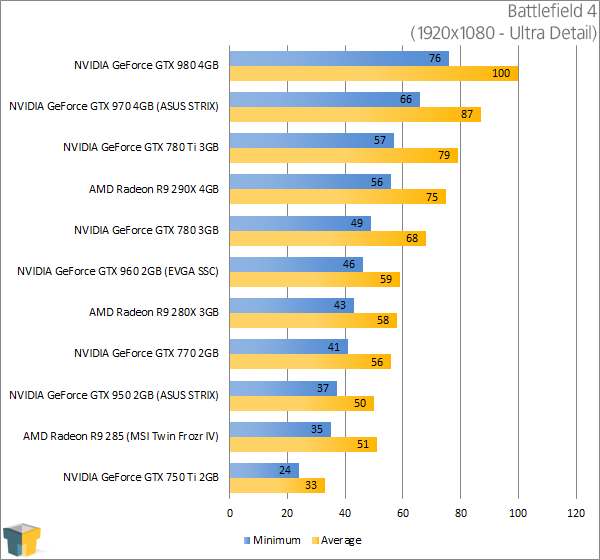 It’s also starkly faster than the GTX 750 Ti it replaces. 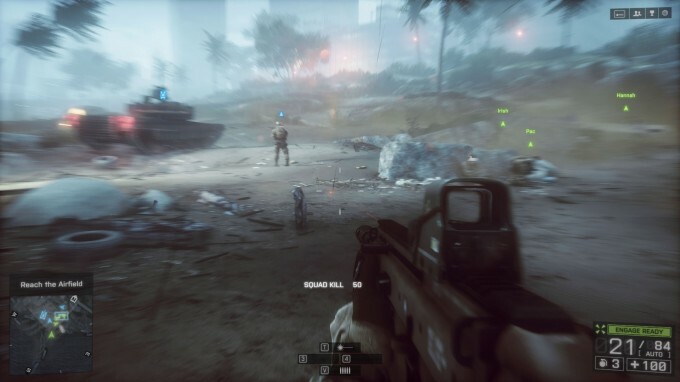 The solid performance continues with Battlefield 4. 37 min / 50 avg isn’t what I’d consider ideal, but this is Ultra settings we’re dealing with. 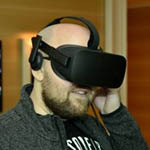 A disabling of AO and AA would improve the situation tremendously.